Wire Fraud Allegations Defense Strategies - Oberheiden, P.C. When federal prosecutors pursue charges against health care providers for benefit program fraud (i.e., Medicare, Medicaid, and Tricare fraud), they typically pursue charges for a number of “add-on” offenses as well. One of these add-on charges is wire fraud, which is a federal criminal offense under 18 U.S.C. Section 1343. The federal wire fraud statute is extremely broad. In today’s information technology age, virtually all health care fraud cases will involve prosecutable wire fraud as well. As a result, health care providers must be aware of the risks of prosecution under 18 U.S.C. Section 1343, and they must be prepared to effectively assert all valid defenses in order to mitigate their risk of conviction and sentencing. What Is Wire Fraud Under 18 U.S.C. Section 1343? 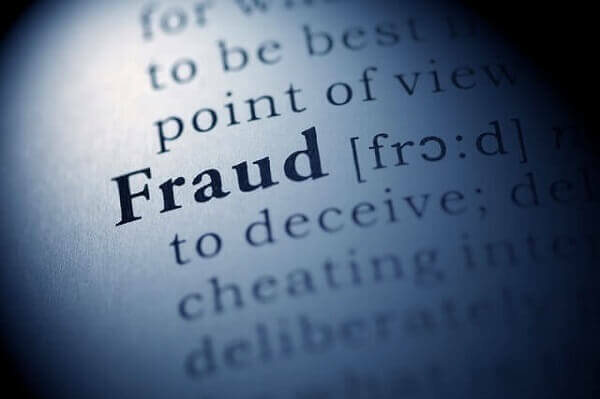 Sending emails, submitting invoices and requests for reimbursement online, talking on the phone, and any other uses of telecommunications technologies at any point during the perpetration of a fraudulent health care scheme are sufficient to support charges for wire fraud. This includes sending emails to partners or employees (who may be charged as “co-conspirators”), as well as sending communications and electronic documents to government agencies and unrelated third parties. When charged with wire fraud, health care providers can face sentencing under the relevant health care fraud statutes (such as the False Claims Act, Anti-Kickback Statute, Stark Law, and 18 U.S.C. Section 1349) and sentencing under 18 U.S.C. Section 1343. In most cases, each charge will carry a fine of up to $250,000 (for individuals) or $500,000 (for organizations); and, like 18 U.S.C. Section 1343, most other statutes used to prosecute health care fraud carry the potential for years – if not decades – behind bars. Health care providers charged with wire fraud will typically be charged with mail fraud as well, and the federal mail fraud statute imposes the same penalties as 18 U.S.C. Section 1343. As a result, the aggregate penalties in a health care fraud case can easily amount to millions of dollars in fines and a de facto life sentence in federal prison. What Are the Potential Defenses to Wire Fraud? Due to the complexities of the federal health care system and the Medicare, Medicaid, and Tricare billing guidelines – it is common for health care providers to engage in billing practices which appear to be indicative of intentional fraud, but which actually reflect a misunderstanding of the rules that apply. When reckless or negligent, but unintentional, acts result in overpayments, this is known as constructive fraud. Since prosecutors must prove that a defendant, “devised or intend[ed] to devise,” a fraudulent scheme in order to obtain a conviction for wire fraud, constructive fraud is a complete defense to criminal culpability under 18 U.S.C. Section 1343. The good faith defense is similar to the constructive fraud defense in that it challenges the government’s evidence of intent. If you attempted in good faith to comply with the law but still ended up submitting false or fraudulent claims to Medicare (or committing any other act that would otherwise qualify as criminal health care fraud), your lack of intent is a defense to criminal prosecution under 18 U.S.C. 1343 and the relevant health care fraud statute. Note, however, that lack of intent is not necessarily an exculpatory defense for civil allegations of health care fraud. If your business or practice is under investigation as a result of improper billing practices perpetrated by your administrative staff, then you may be able to assert the defense of “lack of authority.” The theory behind this defense is that the employees who violated the law did not have authorization to do so; and, as a result, even though they purported to act on behalf of your business or practice, their acts do not legally constitute actions of the organization. In order for a communication or transmission to fall within the scope of 18 U.S.C. Section 1343, it must be sent, “for the purpose of executing,” the alleged underlying substantive fraud. If it can be shown that communications or transmissions were sent after the alleged fraud was completed, after an alleged conspiracy fell apart, or otherwise were not sent for the purposes of committing health care fraud, then they will not support charges under 18 U.S.C. Section 1343. The statute of limitations for wire fraud under 18 U.S.C. Section 1343 is five years. Once the statute of limitations expires, the government cannot prosecute you even with clear evidence of criminal culpability. This is important, since many health care fraud investigations will involve multiple years of past patient and billing records. If it has been five years or longer since the last use of the phone or the internet in connection with any alleged fraud scheme covered by the investigation, then the “statute of limitations” defense may be available in your case. If you are facing a health care fraud investigation involving allegations under 18 U.S.C. Section 1343, it is important that you engage an experienced legal team to intervene in the investigation as soon as possible. At Oberheiden, P.C., our defense attorneys and former federal prosecutors have decades of experience and a significant record of success in a broad range of federal health care fraud matters. To schedule a free and confidential consultation with our health care fraud defense team, please call (888) 519-4897 or request an appointment online now.